Batman and the Joker make up one of the most greatest hero-villain pairings in all of fiction. For over 70 years, the brilliantly twisted dynamic between the Dark Knight and Clown Prince of Crime has enthralled fans in stories across all mediums, such as Alan Moore’s seminal 1988 graphic novel The Killing Joke, Christopher Nolan’s outstanding 2008 film The Dark Knight and developer Rocksteady’s excellent Batman: Arkham video game trilogy. 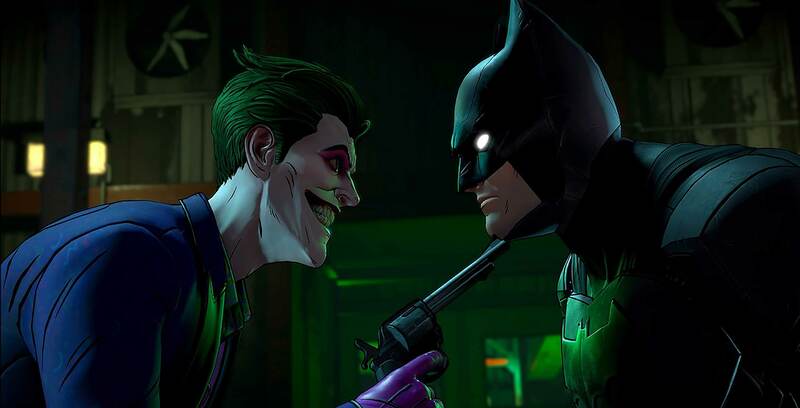 And yet, while there have been numerous great interpretations of the Batman-Joker relationship over the years, there has never been one quite as complex and morally grey as what Telltale has created with The Enemy Within, the second season of its Batman point-and-click episodic adventure series. While the Joker’s self-told backstory is unreliable at best, the most commonly accepted origin for the villain is the one seen in The Killing Joke, where a single bad day leads a failed comedian down a life of crime. That said, outside of a handful of comic panels in that story, we’ve never really gotten a look at the kind of man Joker was before he became Batman’s greatest foe. Early in The Enemy Within, Batman finds himself tracking a mysterious criminal group known as the Pact, consisting of classic villains Riddler, Harley Quinn, Bane and Mr. Freeze. To learn what they’re planning, Bruce must go undercover in the organization, all the while trying to thwart them as Batman. John already joined the group, desperate to make friends outside of the Asylum, and Bruce must leverage his relationship with him to win favour with Harley and the gang. He needs to be careful, though; following a run-in with Bruce in Arkham Asylum in the first season, John obsessively considers him his best friend. Although his past is only alluded to, it’s clear that John has been shunned by society, making his fondness for Bruce rather endearing. John exhibits a very insecure, troubled personality, leading him to turn to the charismatic Bruce for support. While struggling to keep his cover and also undermine the Pact’s efforts to hurt innocent people, Batman must also juggle his relationships with longtime Commissioner Gordon and the Gotham City Police Department and newcomer Amanda Waller, the shady government agent well-known for creating the Suicide Squad team of villains. Waller’s Agency has been given jurisdiction over Gotham, and the organization, while morally ambiguous, is certainly very effective. Allying with them can give Batman more support and intel than he’d have ever gotten before, as well as let him operate unrestrictedly. On the other hand, what Gordon lacks in resources, he more than makes up for with integrity and trustworthiness. Figuring out which faction to be loyal to is one of the most compelling elements of The Enemy Within. Through all this, you’ll be engaging in the same point-and-click, button prompt-heavy fare seen in any other Telltale game. If you didn’t like that minimalist style of gameplay before, then The Enemy Within won’t change your mind on the matter. Those who are fine with it, though, will be treated to a simple but highly effective implementation of the system. Fights are very well choreographed, showing the full extent of Batman’s fighting prowess and tactical ingenuity. 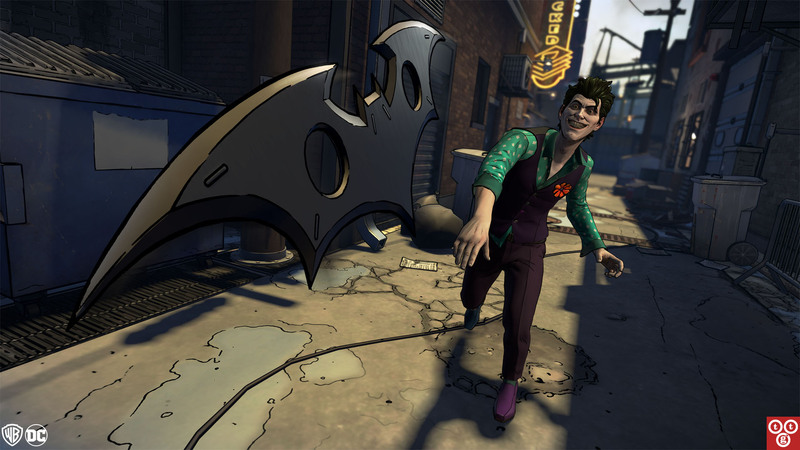 As in the first season, Telltale also gives you some input in combat, letting you decide in some cases what kinds of attacks Batman should carry out. While these choices don’t change the outcome of a fight at all, it’s still nice to offer players a bit of agency in what could otherwise be a rote quicktime event. The ongoing pursuit of the Pact also threatens to drive a wedge between Batman and his allies, both in law enforcement and his own personal life. Telltale challenges players to consider how their actions with one character may affect their relationship with another, making every conversation feel profoundly impactful. This is particularly true with Bruce’s butler and surrogate father, the ever-dependable Alfred Pennyworth. 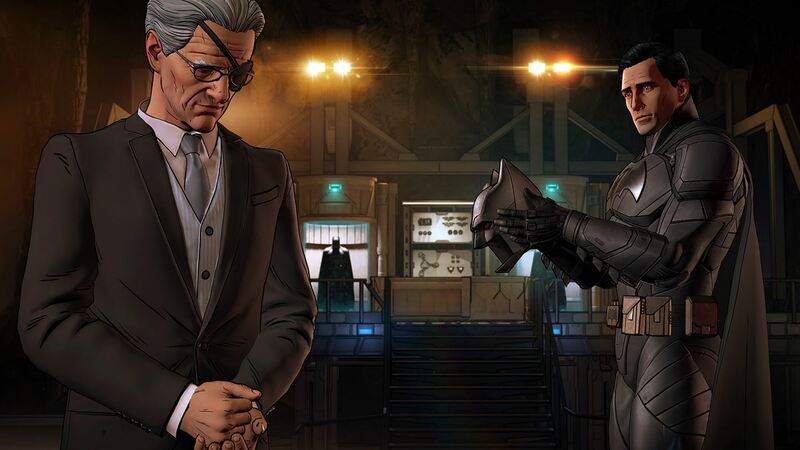 Intriguingly, Telltale’s version of the character is a much more vulnerable and conflicted than he’s typically portrayed, presenting Batman with truly difficult moral quandaries over the course of the season. Alfred is particularly wary of Bruce’s friendship with John, reminding Bruce that anything he does will greatly influence the man. The payoff to Alfred’s subplot in the final episode will go down as one of my favourite moments between the two characters in any Batman story. 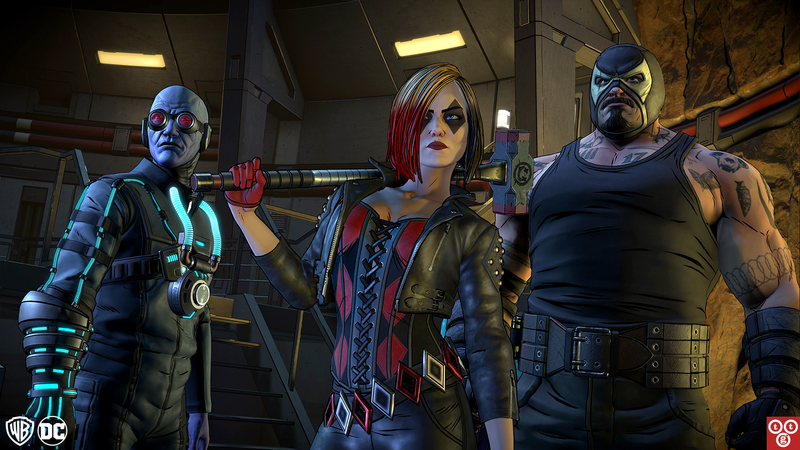 Another way Telltale has cleverly subverted the Batman mythos is through Harley and Joker’s relationship. Here, she’s the much more aggressive and independent of the two, with John instead being the pining, emotionally unstable one. In a key moment mid-way through the game, John has a genuinely heartfelt talk with Bruce, asking for advice on how to woo Harley and what kind of man he should become to do so. Bruce and Batman each share several scenes like this with John, and what is said to the man in these moments is pivotal, shaping how he views the world and, therefore, what how he will act later in the season. They serve to highlight John’s vulnerability and childlike innocence, in turn challenging my pre-conceived notion of who the man really was. My Bruce came to really appreciate John’s company and, astoundingly, even consider him a friend. As a result, I tried to show John the virtues of being a hero, and seeing the impressionable, well-meaning man earnestly consider what I was saying made me feel like my choices were important. No one else gave him a chance to be good, but if I did, maybe he finally could be. These decisions culminate in one of the most radically different final episodes of a choice-driven game I’ve seen in a game to date, shaped completely by how you treated John. The Joker that emerges can either be the ruthless criminal you expected him to be, or a righteous, Batman-inspired vigilante — both of which are well built up to. 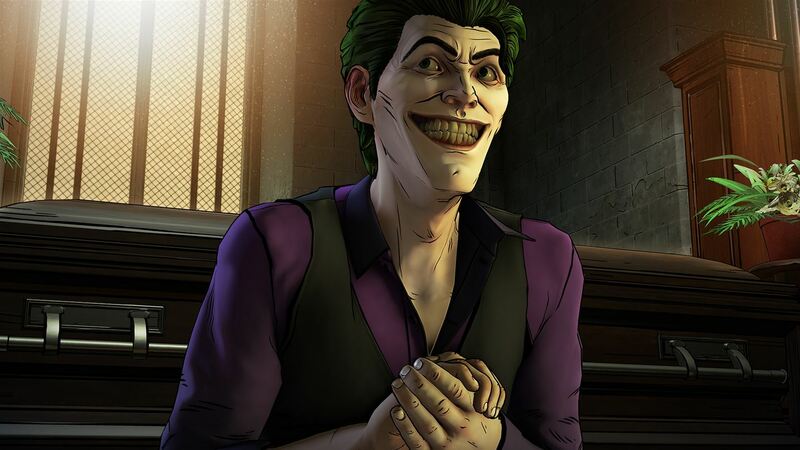 While Telltale’s writers should be applauded for their stellar work on the Joker in the game, the character wouldn’t be nearly as effective without the voice that brought him to life. Thankfully, Canadian actor Anthony Ingruber is absolutely phenomenal, convincingly captures all facets of John’s unstable personality, deftly switching between crippling insecurity, childish glee, steadfast loyalty and bitterness. The cast is all around excellent, particularly the always-superb Troy Baker as Batman, but Ingruber’s performance is easily a the voice-over highlight of the game. If The Enemy Within falters anywhere, it’s in an uneven depiction the Pact itself. Harley herself gets the most spotlight, with Bruce having a number of conversations with her that flesh out her backstory and make her more sympathetic. However, Telltale doesn’t really make full narrative use of Bane or Freeze, offering up rather standard depictions of them that you’ve seen many times before. Moreover, they don’t get to be humanized in the way that John or Harley are, making them feel more like background players than genuinely interesting figures. In the end, though, it’s easy to overlook a few underdeveloped villains when many of the other character dynamics are as riveting as they are. Batman: The Enemy Within is the perfect example of how effective gaming can be as a storytelling medium. Being able to play an active role in the relationship between Batman and the Joker is something no comic, movie or TV series will ever be able to offer. 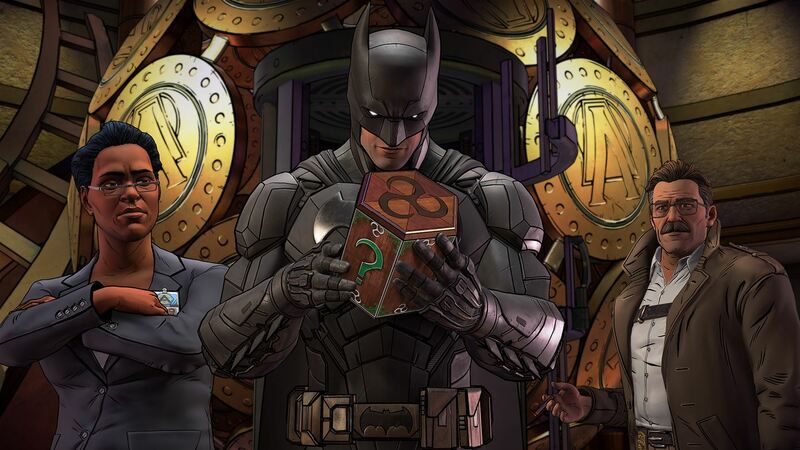 Moreover, Telltale has succeeded in creating a Joker who eminently likeable and sympathetic, and in doing so challenges your perceptions of who Batman is as a character. For any fan of the Dark Knight, this is an absolute must-play experience. Batman: The Enemy Within are now available on PlayStation 4, Xbox One, PC, Android and iOS.